The characters from "Cells at Work!" - now available as part of our Piyokuru trading figure series! 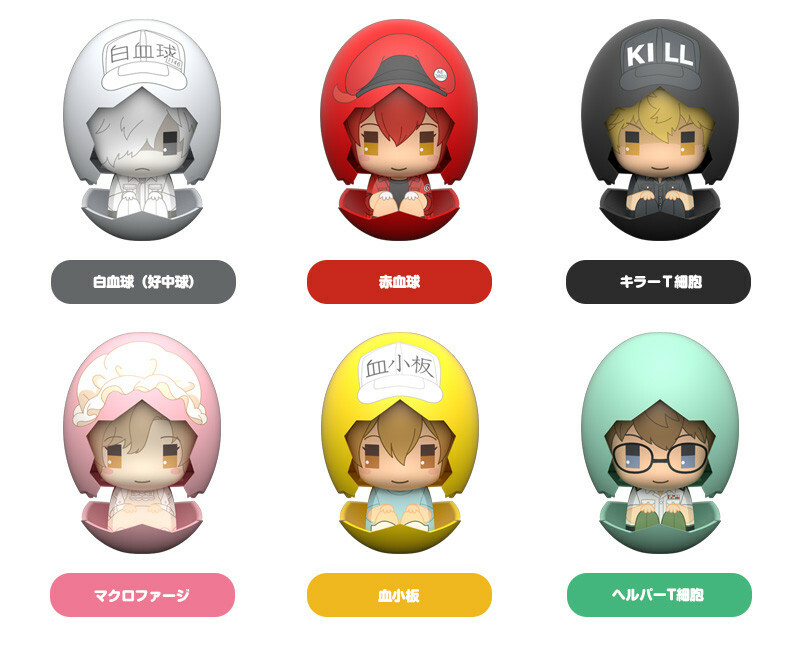 There are six different characters to collect, including White Blood Cell (Neutrophil), Red Blood Cell, Killer T Cell, Macrophage, Platelet and Helper T Cell! Painted ABS products. Each approximately 60mm in height. Six units per box. Total of six to collect. Preorders will be open from 26th September (Wed) from 12:00JST until 25th October 2018 (Thu) at 12:00JST.